A survey of adolescents conducted by the Community Fund of Darien revealed potential issues with rising alcohol consumption, as well as a discomfort with people of different backgrounds. The students also reported strong self-motivation to achieve and offered positive impressions on much of their life. The survey included input from more than 2,000 seventh- through 12th graders at Middlesex Middle School and Darien High School, found only 38 percent of students felt they had positive adult role models, and only 42 percent of students felt capable of planning ahead to make choices. Only 46 percent of 12th graders assessed themselves as culturally competent and able to be comfortable with people of different cultural or ethnic backgrounds, according to the survey. Part of the survey delving into substance use showed alcohol use by 11th and 12th graders increased significantly from the previous survey in 2011, with 62 percent of high school seniors reporting using alcohol in the last 30 days. As part of a survey on “assets” — defined as attributes and skills considered important to healthy development — only 55 percent of students reported they had the skills to resist negative peer pressure or avoid dangerous situations, the survey found. This fall the fund is to convene its own Thriving Youth Task Force, which includes First Selectman Jayme Stevenson and a long list of school officials, parent-teacher group leaders, nonprofit service programs, police, and other town departments to facilitate a discussion of how to address issues through non-profit programs, said Carrie Bernier, executive director of the fund. While prominently known for annually awarding grants to human service non-profits in Stamford, Norwalk and Darien, the fund has sponsored the youth survey in 2008, 2011, and 2014, as part of a focus on the fund’s commitment to target services or outreach to town youth in a way to boost some of the negative results, she said. The survey, created by the Search Institute, focuses heavily on measuring defined “developmental assets,” among young people, a category which includes internal strengths as well as how youth assess external factors such as adult involvement, involvement and activities, and time at home. Bernier said the survey provides valuable feedback to the town at large and to non-profits on areas of concern. One direct outcome of the survey has been the establishment of Youth Asset teams comprised of Darien High and Middlesex students who want to take action to improve the atmosphere at their schools, Bernier said. The groups have been a valuable resource for students to find solutions to common problems, Bernier said. Last year, the high school Youth Asset team held an evening forum including students, teachers, and representatives of youth agencies on the topic of stress and anxiety, Bernier said. “It really helped emphasize that students are dealing with stress in the high school situation,” Bernier said. At Middlesex, older students have served as mentors for fifth-graders on the social and academic pressures of middle school. At the high school students organize alcohol-free events such as dodgeball tournaments to give students options beyond the high school party scene, Bernier said. A focus on youth among non-profit groups applying for Community Fund grants was reflected in the agency’s recent announced annual award of $660,000 grants. More than half the money awarded to non-profits, $375,000 was awarded to programs that work toward the goal of helping young people succeed, driven in part by non-profits submitting more applications for funding for youth services, Bernier said. “We had more applicants in that category,” she said. The fund also awarded $128,000 to nine non-profit agencies in self-sufficiency grants which included awards to support adult day-care programs that have helped Darien senior citizens remain living at home, and helping enroll 20 residents with mental illness in a supported employment program and immigration services. 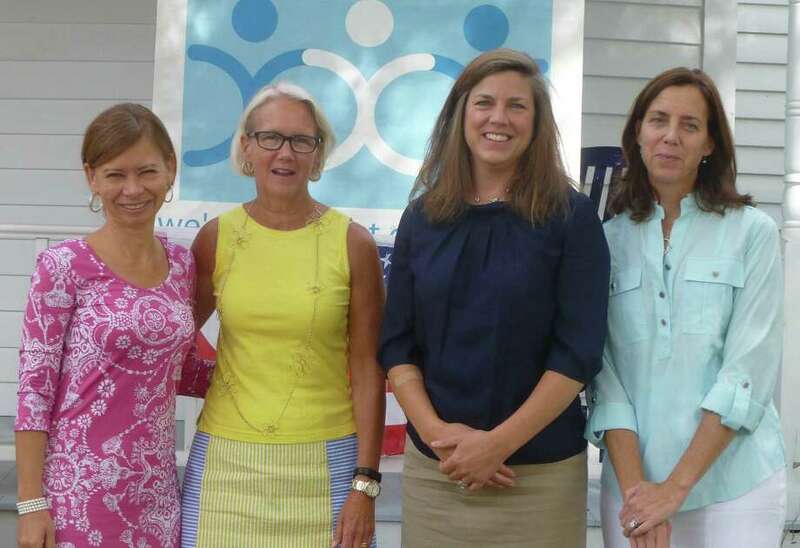 The group also awarded $114,000 toward groups supporting the basic needs including food, rent, and housing support, an category of funding which sustained 34 homeless individuals in stable housing, and offered employment assistance to another 224, according to the Community Fund of Darien. “Our commitment is across the board with our donor’s dollars to make sure we are meeting all of the human services needs of the community,” Bernier said.